By CNN'S CHUCK JOHNSTON, TAYLOR BARNES, EMANUELLA GRINBERG AND NICOLE CHAVEZ CONTRIBUTED TO THIS REPORT. Iran's foreign minister called for the United States to release Press TV anchor Marzieh Hashemi in comments carried on the website of state-run IRNA news. 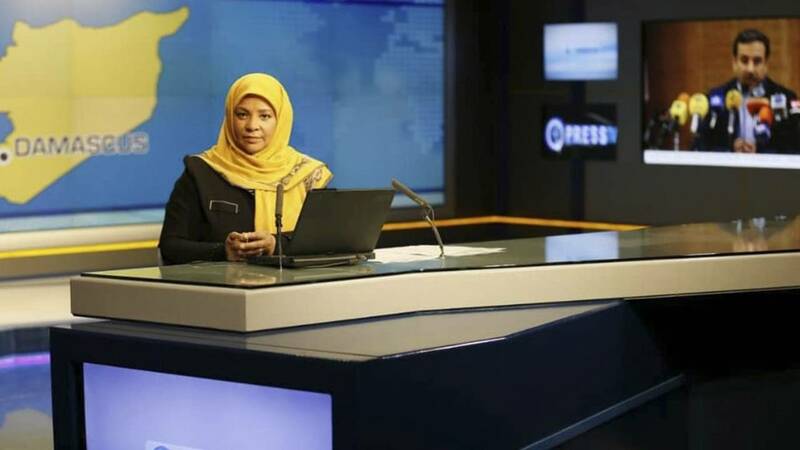 (CNN) - Marzieh Hashemi, an American anchor working for Iran's state television, is being held in the United States as a material witness and has not been accused of any crimes, a court document shows. Hashemi, a prominent anchor for Iranian state-funded Press TV, was arrested Sunday at the St. Louis international airport, where she was filming a documentary on Black Lives Matter, the Iranian broadcaster and her family said. The woman, who was born in the US as Melanie Franklin, is expected to be released from a Washington, D.C. detention facility after she testifies before "a grand jury investigating violations of U.S. criminal law," the court document released Friday said. It is not immediately clear what case Hashemi's testimony is of interest. Hashemi has been appointed an attorney and has made two appearances in federal court since her arrest, the document noted. Her arrest has drawn criticism from the highest levels of the Iranian government. "The custody of Iran's reporter in the US is highly political and she should be released immediately," Foreign Minister Javad Zarif said, according to state-run IRNA news. "The misbehavior of the US government indicates that the US does not abide by any principles protecting rights of those criticizing the system and is now turned to a dangerous country for reporters," he added. The Federal Bureau of Investigation declined to comment on Hashemi's detention earlier this week.